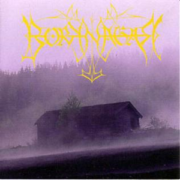 Origin is Borknagar’s seventh studio album, and is primarily an acoustic effort. Origin explores the band’s more progressive and traditional elements. Following his brief departure from the band during the recording sessions of Epic, this album would mark bassist Tyr’s rejoining of the band. “Oceans Rise” is an acoustic remake of the original which appeared on their 1998 release The Archaic Course.